Summertime in New Orleans brings a hyper awareness of storm season. 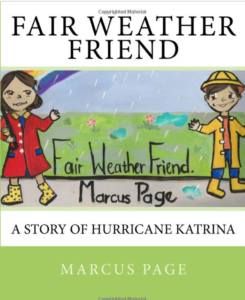 In this episode of Confetti Park, we hear Fair Weather Friend: A Story of Hurricane Katrina, narrated by the author Marcus Page. Marcus is a poet and a New Orleans native. He was inspired to write a story of the power of friendship after the experience of Hurricane Katrina. Two children, who are the best of friends, are separated from each other during the hurricane evacuation. While their families face different challenges, both of these young children bear the pressure of the situation and the forced evacuation of their home. It was August, the summer of 2005. The kids were getting ready to go back to school. Payton and Maria were looking forward to getting back to school. Payton and Maria were walking to the corner store. the news on a TV behind the counter. because a huge storm was coming. The news man called the storm Katrina. Katrina was said to possibly be the biggest storm New Orleans had ever seen. 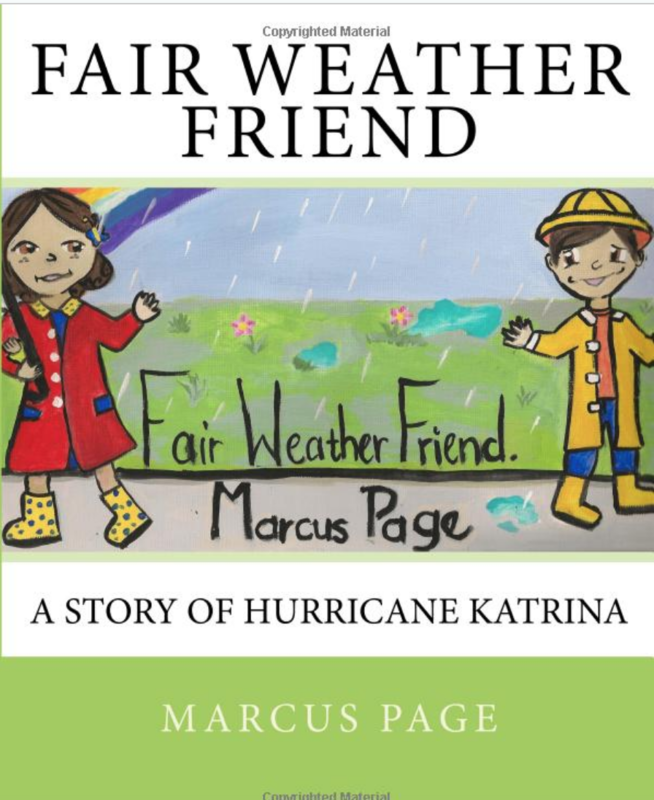 Fair Weather Friend: A Story of Hurricane Katrina is available on Amazon. Listen to Marcus narrate the story. And learn more about Marcus and his poetry and performance art at http://www.rawartists.org/marcuspage.